Adient is the global leader in automotive seating with unmatched global reach and scale. 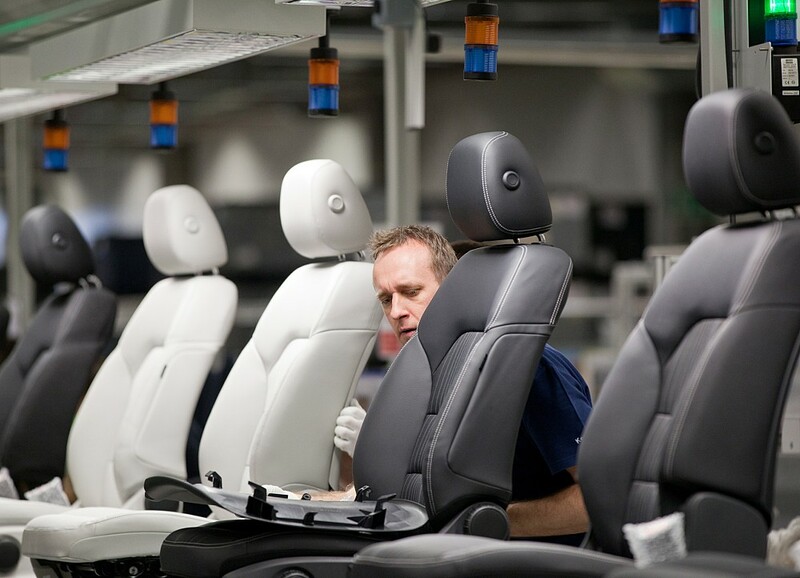 With 75,000 employees working from 230 facilities in 33 countries, we produce and deliver automotive seating for all vehicle classes and all major OEMs. From complete seating systems to individual components, our expertise spans every step of the automotive seat-making process. Our integrated, in-house skills allow us to take our products from research and design all the way to engineering and manufacturing – and into more than 25 million vehicles every year. We’ve been committed to getting things precisely right since the start. It’s how we create superior products for our customers and end-consumers. In just over 30 years of partnering with automakers, we are the leader in the $70 billion automotive seating industry – with nearly double the global market share of our closest competitor. Today, as an independent public company traded on the New York Stock Exchange (NYSE:ADNT), we are reinvesting in our core business, quickly capitalizing on emerging trends and sharpening our focus on innovation – in automotive seating and beyond. We are an approximately $32 billion company with $17 million in consolidated revenue in 2016 and another $18 billion in unconsolidated revenue from our seating and interior joint ventures. At Adient, we challenge ourselves to anticipate what our customers will need next. We’re helping to conceive the first generation of autonomous vehicles and leading the research and development into seating and interiors for level 3 and level 4 autonomous vehicles. We have more than 4,500 engineers working from 22 engineering and development centers across the globe including locations in the United States, Germany, China, Japan, South Korea, India, Slovakia, England, Italy, Sweden, Brazil and South Africa. As an advanced manufacturer of lightweight components, we’re promoting sustainable driving experiences around the globe. Our one-step-ahead mindset keeps us focused on the future. And ensures our place as an industry leader. Adient’s product portfolio includes complete seats for automotive and commercial vehicles delivered on a Just-in-Time (JIT) basis to our OEM customers. We also design, engineer and produce structures and mechanisms, foam, fabrics and trim. Adient’s premium offering for passenger vehicles is provided by our RECARO Automotive Seating group, the most prominent performance brand in the automotive world. For decades, RECARO Automotive Seating has been setting standards in seats for passenger cars. Manufacturers such as Aston Martin, BMW, Ford, Lamborghini, Mercedes-AMG and the VW Group value this premium quality and offer RECARO seats as a factory equipped, standard or optional feature. There are also many drivers who retrofit their cars with RECARO seats.